Happy first day of summer! The weather has been cool and over cast here this past week but when the sun finally does come out again I’m sure I’ll be making lots of cool drinks for us to beat the heat with all summer long. Anna and I love drinking all kinds of different frozen fruit and berry smoothies but my husband Thomas is not a big fan of them. He does enjoy, however, the sweet and simple pureness of a banana smoothie. 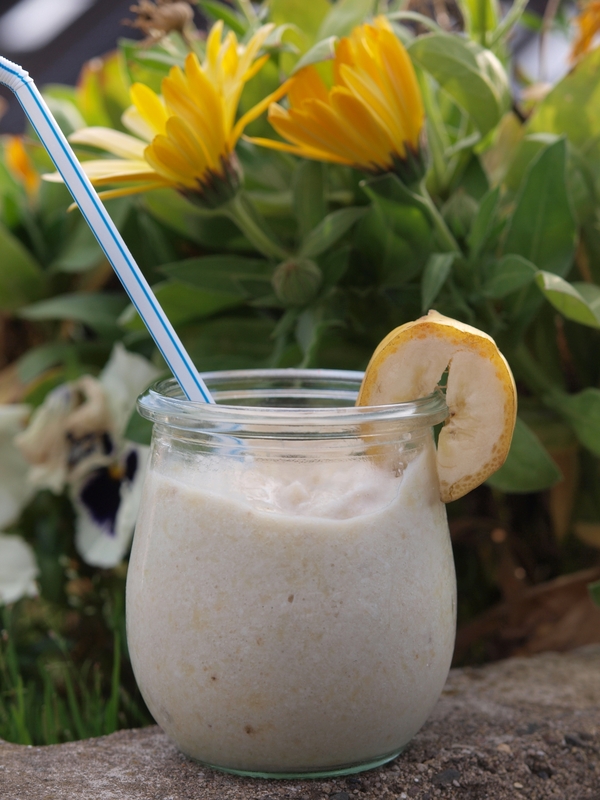 If you peel the bananas ahead of time and wrap them in plastic or place them in a zip lock bag before freezing them, whipping up this tasty summer drink is oh so easy. 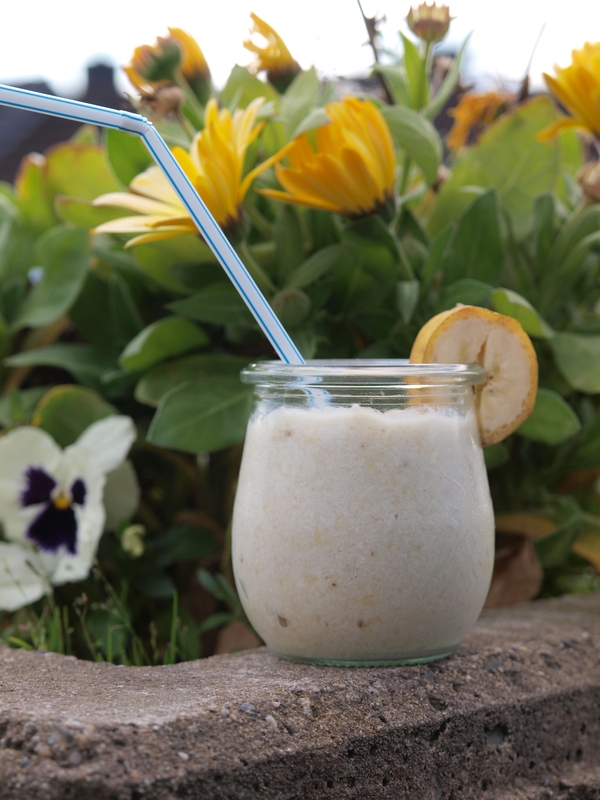 You can also add any other fresh or frozen fruits of your choice to this mixture and as long as at least the bananas are frozen it will still have a nice thick and smooth, frozen consistency. Enjoy! *If you are using already sweetened yogurt, like vanilla flavored yogurt for example, omit the additional sweetener in the recipe. Blend all the ingredients well in a food processor or with an immersion stick blender until smooth. Serve immediately with a straw or spoon. When it’s hot I enjoy making berry smoothies with fresh and/or frozen berries, plain yogurt and a little something sweet. Sometimes I like to use milk or even soy milk and sometimes even an avocado. 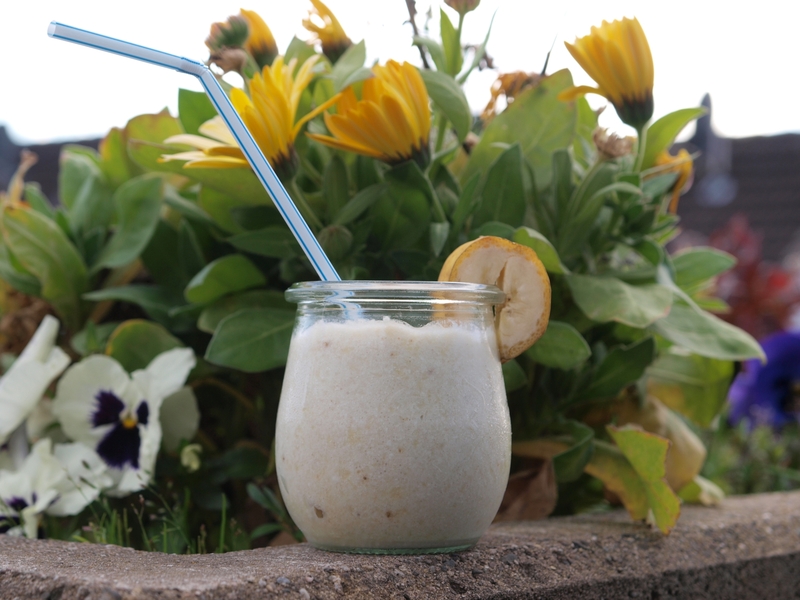 I know that sounds weird but this has got to be one of the best smoothies I have ever tried. 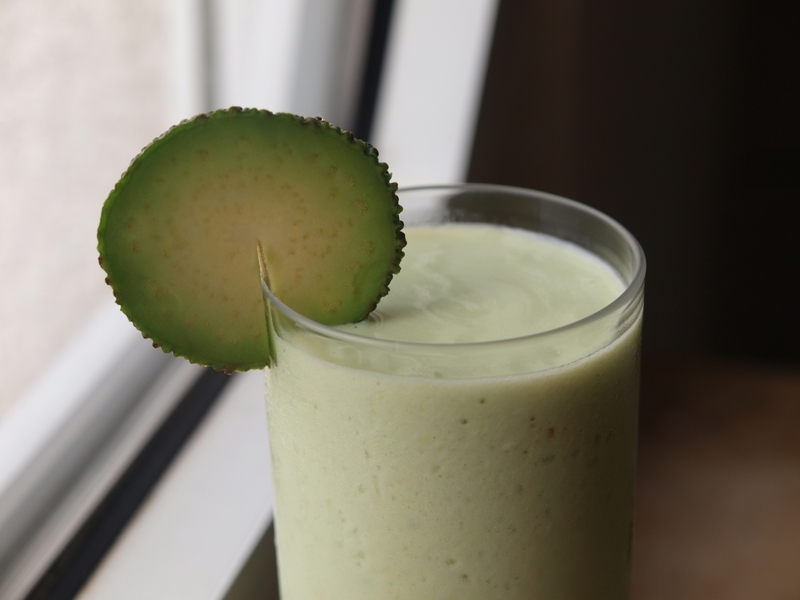 I had found a recipe in the Vegetarian Times Cookbook, which I bought for my husband as a Christmas present a few years back, for an Avocado Frappé and decided to give it a try. 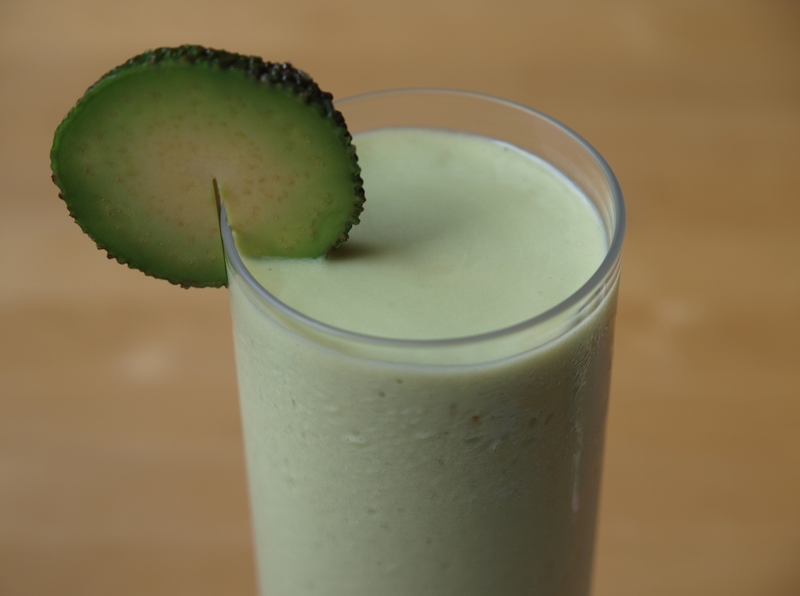 The color of this drink is so delightfully green and the texture is so smooth and creamy, it’s like a cross between Crème Fraîche and whipped cream but if you make it with soy milk it has no cream in it at all! 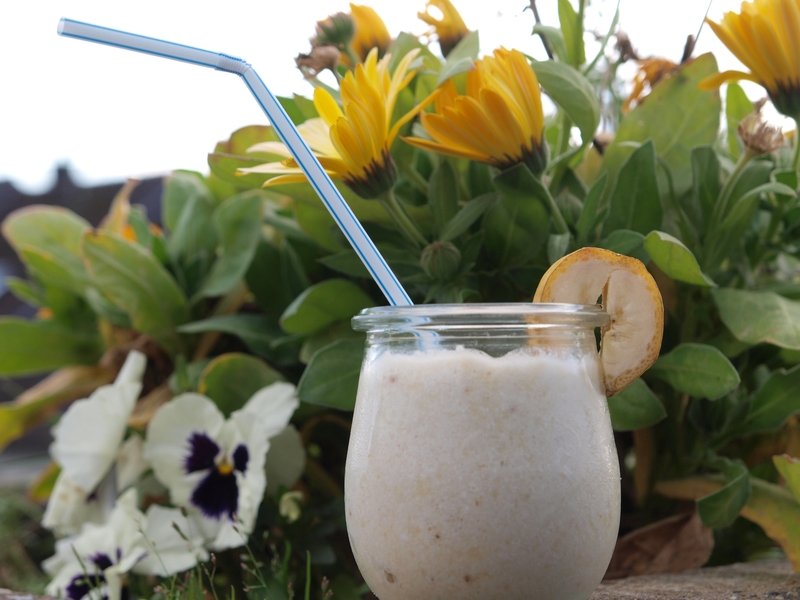 It is a little bit of heaven in a glass but don’t take my word for it, try it yourself! I had my suspicions confirmed that this is indeed the best frozen summer concoction when one night, back when I was still living in Rhode Island, I organized an informal food competition with a few friends at their house. My friends and I each had to make a unique dessert involving an avocado as our prime ingredient. One of the competitors made brownies with mashed avocados mixed in and one made crêpes with avocado and a chocolate-avocado sauce. 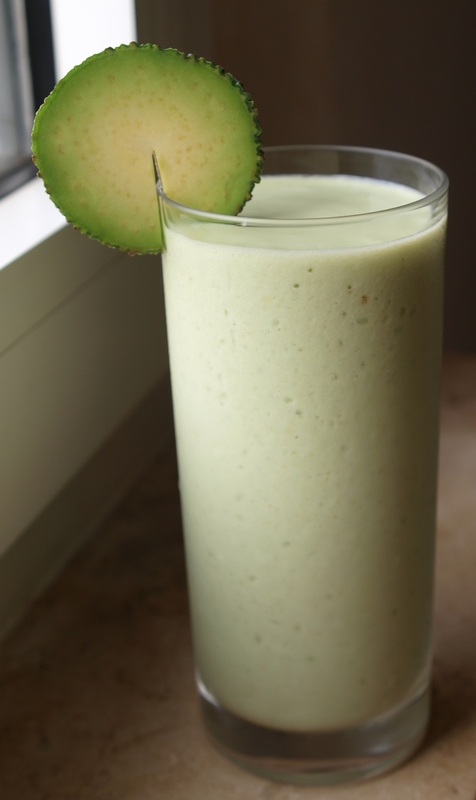 I made a variation of this Avocado Frappé. It was an instant hit and the overall winner. 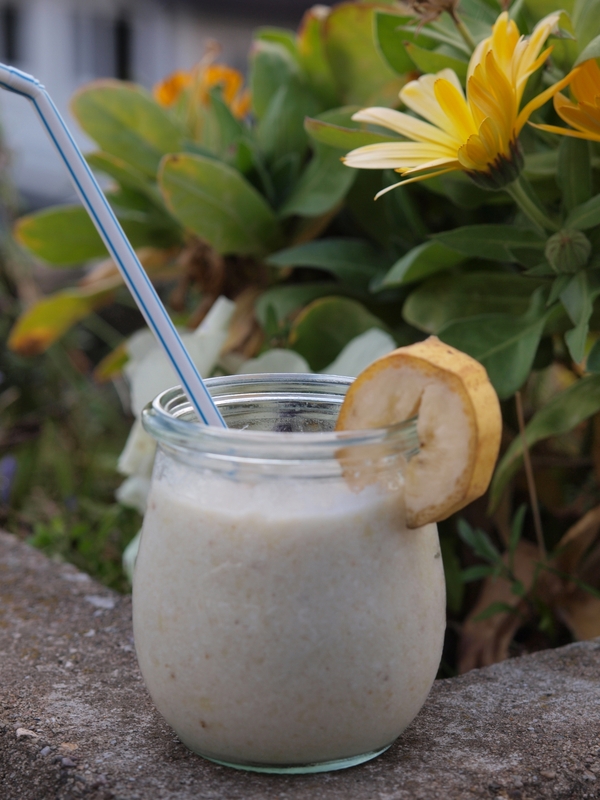 Try this fruit in your smoothie next time and you won’t be disappointed! Put all ingredients into a blender and blend until smooth. Pour into tall glasses and serve right away. Garnish with a fresh avocado wedge or lime wedge and serve with a long spoon and/or a straw.